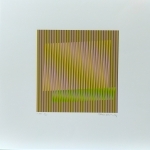 CARLOS CRUZ-DIEZ was born in Caracas (Venezuela) in 1923. 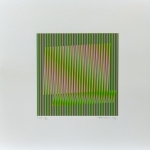 Cruz-Diez dedicated himself to artistic research in the context of intense interest in kine-visualism and programmed art, which extended throughout Latin America. 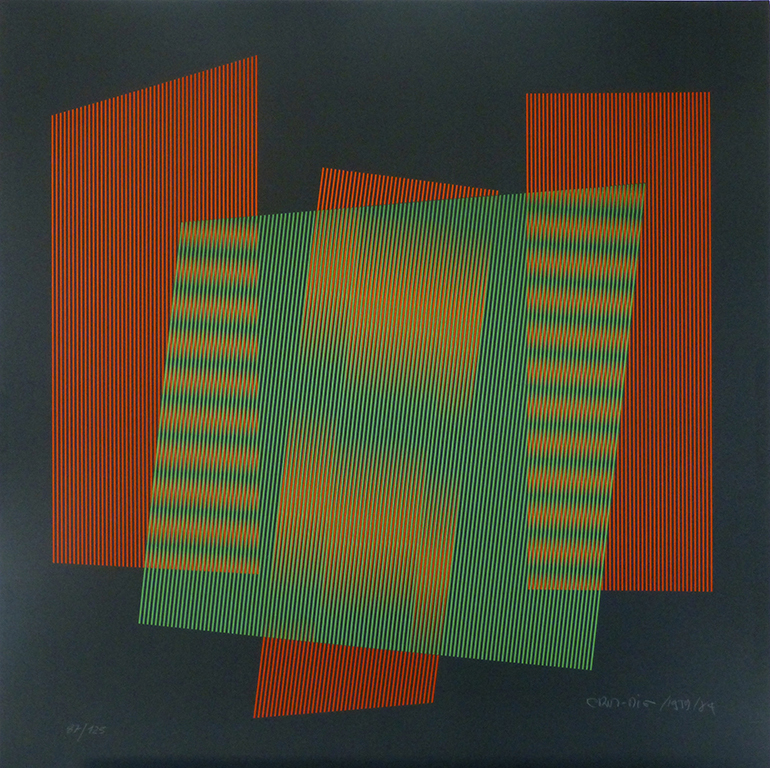 He studied at the School of Fine Arts of Caracas, of which in 1957 he became director. In 1946 he was hired as artistic director at the McCann-Erickson advertising agency. Interested in the relationship between art and information theory, he taught at the Venezuelan School of Journalism and worked as an illustrator for the El Nacional newspaper in Caracas. In 1957 he founded the “Estudio de Artes Visuales” for the purpose of furthering visual research in relation to industrial design. 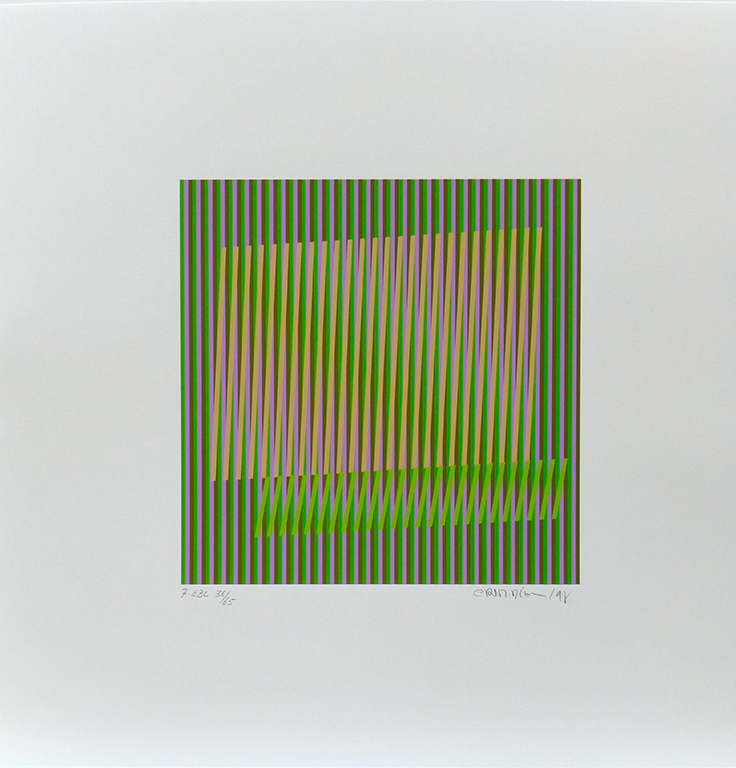 In 1959 he produced the “Additive Color” works, experiments concerning the juxtaposition of colored planes and relative optical interference. In 1960 he move to Paris where he continued this research. To these theoretical-experimental studies he soon added, in order to extend the horizons of aesthetic phenomenology, environmental research in relation to chromatic phenomenology. This work enable him to acquire a large amount of data concerning the mutability of color, that is, concerning the procedures of perceptive adaptation by means of which psycho-physical mechanism of perception brings immediate sensations into focus. This led to the study of the perceptive patterns as mental diaphragms determining a single visual focus between object and subject. 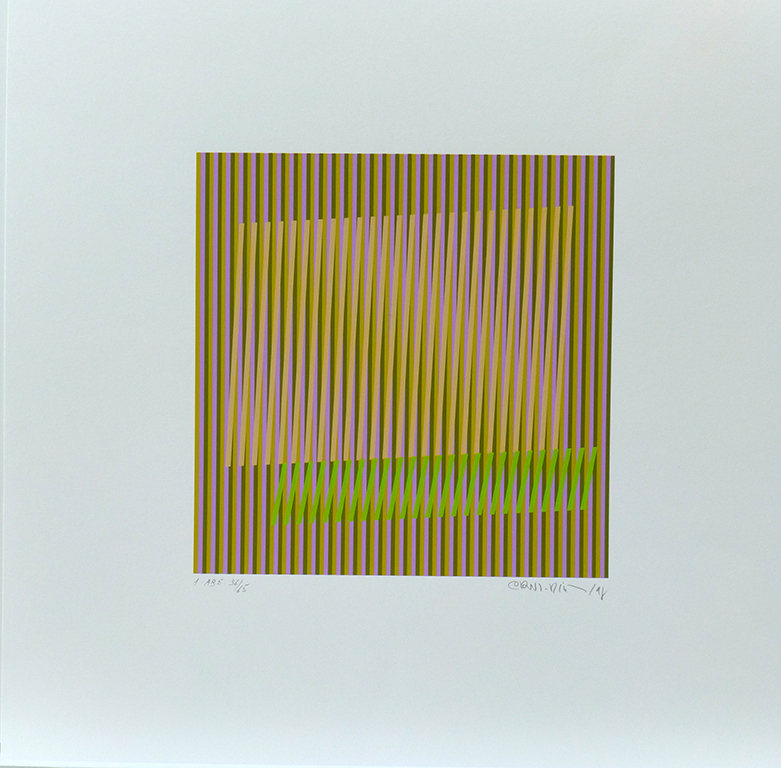 Between 1960 and 1970 he produced the “Physicromes” which determine a change of image in correspondence to a change in the viewing angle of the viewer. 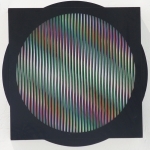 In 1965 this research, especially concerned with the problem of art’s relationship with science, led to the “Transchromes” and then to the “Chromointerferences,” the “Chromosaturations,” the “Chromatic Inductions,” and the “Psychochromes.” He has worked in the fields of architecture and urban space above all in Venezuela: wall decoration of the silos in the port of La Guarira, the mosaic pavement and the murals at the Maiquietia Airport at Caracas, the containing wall of the Guaire River, 1,300 meters in length, a “chromatic environment” for the Santo Domingo hydroelectric power station. 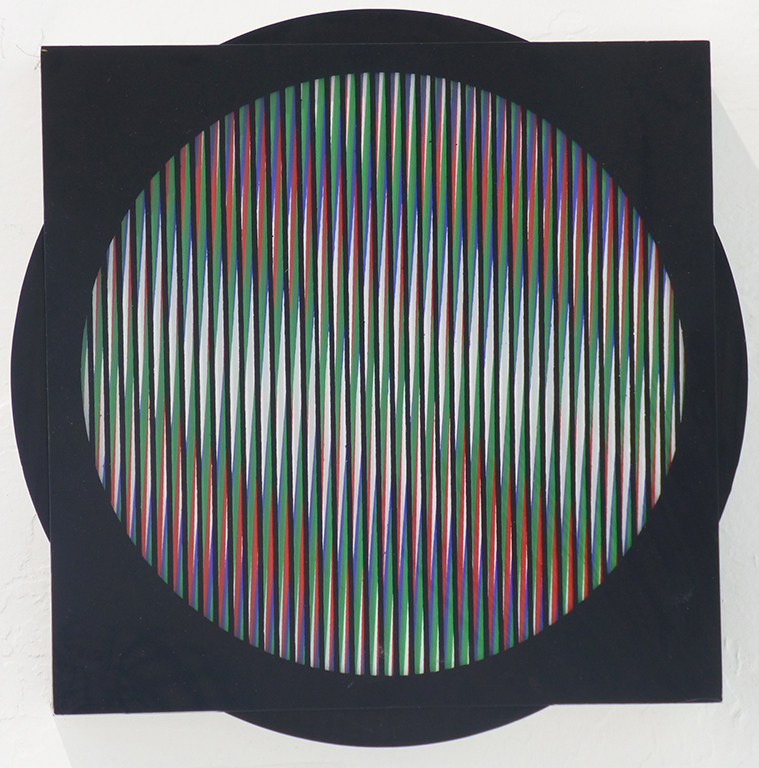 His “Physichrome” is installed in Place Venezuela in Paris, and a chromatic animation decorates the Swiss Union Bank in Zurich. 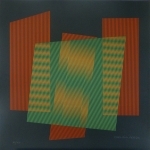 In 1983 his work was exhibited at the “L’ultima avanguardia” exhibition at the Palazzo Reale in Milan.